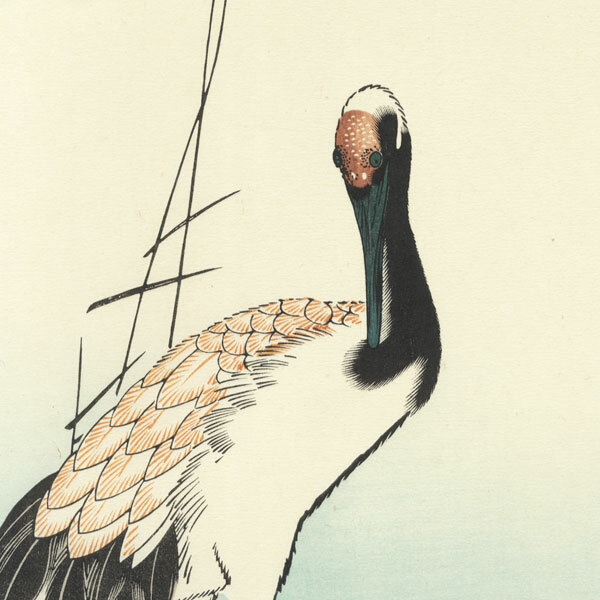 Comments - A lovely reprint and excellent design by Hiroshige of a crane standing upon a rocky outcropping by the shore, waves lapping against the rock. A few water grasses grow behind the magnificent bird, the sky flushed with rose as the sun rises. Incredible subject.